Eastern entrance to Rockport Harbor. Grounds and lighthouse are closed to the public as it is a private residence. 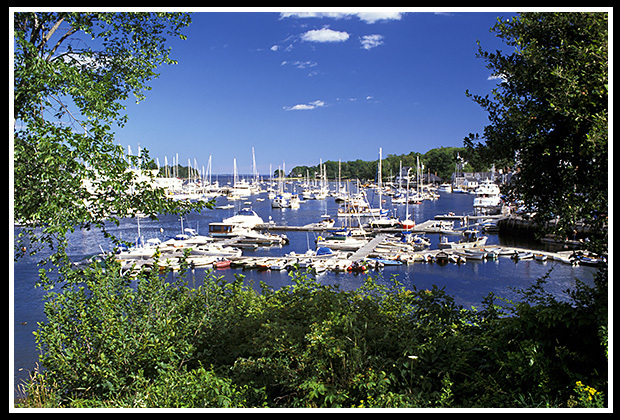 During the French and Indian Wars, the local Native Americans took refuge on the island, which marked the eastern entrance to Rockport Harbor. It later became known as Indian Island. As the lime trade brought increasing traffic into Rockport Harbor, Indian Island lighthouse was established in 1850. However, it was decommissioned only a few years later when the shipping traffic into Rockport did not increase as was expected. The first keeper of Indian Island light was Silas Piper, who stayed on for three years. 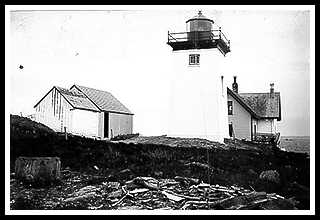 The lighthouse fell into disrepair and shipping traffic began to increase again, causing petitions to have the lighthouse rebuilt in 1874, then relit in January of 1875. As what happened to the original lighthouse, the expected shipping traffic over the years did not increase as hoped, and actually decreased, causing the lighthouse to be decommissioned again in 1932, where it was sold to a private owner in 1933. 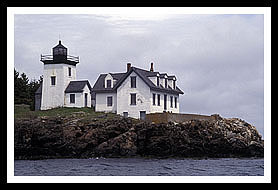 The lighthouse is located on the east side off Rockport Harbor entrance and can be viewed from a distance from the Rockport Marine Park. Best viewed from schooners and excursion boats out of Rockport and Camden. The Schooner Heron has a special sail around Indian Island. Visit the Center for Maine Contemporary Art, they exhibit work by 300-400 living artists each year, offering exhibitions, educational programs and professional development workshops. The Rockport Marine Park provides visitors a glimpse into the lime industry, with old kilns by the waterfront, a replica of a lime transporting locomotive, and a memorial stature of Andre the Seal that was found and raised by a local fisherman. For more private excursions, Rockport Charters offers cruises on a lobster boat from Rockport Harbor to Camden Harbor, a Bay Cruise, Island Excursions, and Lighthouse and Island Lobster Bakes cruises. 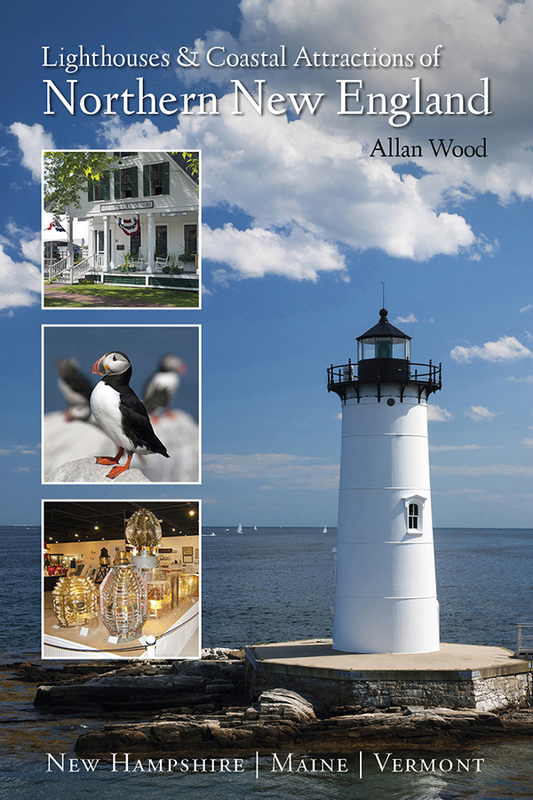 Camden, a very popular tourist spot, lies a few miles north with its specialty shops and picturesque harbor. Visit Camden Hills State Park where you can hike or drive up to the top of Mount Battie and get a spectacular view of the Penobscot Bay. Although best viewed by boat, you can get a shoreline view from the Rockport Marine Park. From US Route 1 North in Rockport, when you see Rocknacs Yacht Sales on your right, take a right onto Main Street. Go to the bridge and turn right, then follow along until you see the sign for Rockport Marine Park on your left. You can get a clear view of the lighthouse from the parking lot. This lighthouse is privately owned so you can only view it from the shoreline or on a tour boat passing by. Windjammer cruises and tours mentioned below may offer many types of cruises. Some may pass Indian Island Lightouse as part of their special lighthouse tours, or by special charters, narrated wildlife and historic tours, fishing tours, and other types of excursions. The Schooner Heron leaves out of Rockland past Indian Island Lighthouse. Sailing route is weather dependent. Thie 65-foot schooner provides 3 trips each day out of Rockport Harbor including Indian Island Light and Eco Tour.